Technical difficulties are a part of streaming whether you’re ready for them or not. Internet problems are a fairly common one and it is one of the worst things when it happen! Knowing your cast is getting interrupted and that viewers might not want to wait to see when you come back can be very disheartening. You will have 90 seconds to come back online, otherwise your stream will go offline as normal. Your stream will be un-interrupted if you are able to reconnect during the 90 seconds. Additionally, your VOD will be continuous as well! Currently, you are not able to have a custom message although Twitch is considering adding this in the future. The feature is currently in beta still so make sure to do a test if you’re unsure if your encoder is supported. To enable the Disconnect Protection, visit your Dashboard on the Channel Settings page. 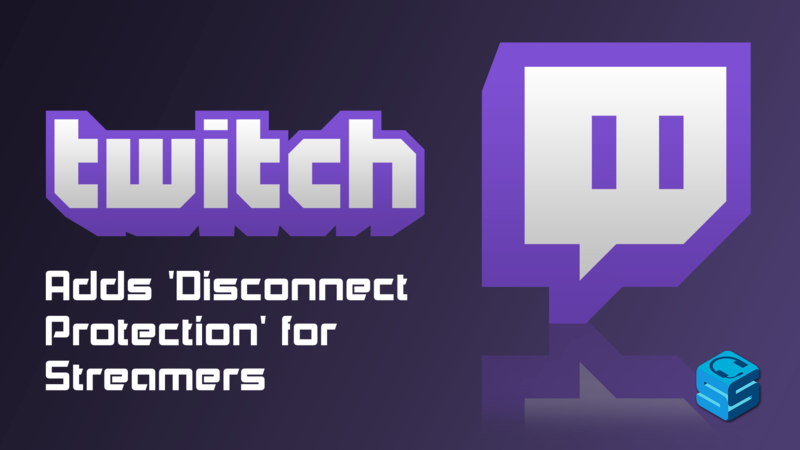 If you are an encoder developer you can also support the feature by sending Twitch a note HERE. For more information visit the Twitch article HERE.